Jovit Baldivino's "Tell Me" Official Music Video Released! 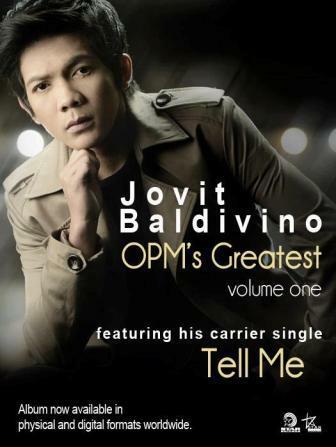 "Pilipinas Got Talent" Season 1 winner Jovit Baldivino launched his third album dubbed as "OPM's Greatest" which features his very own renditions of different hit OPM songs. And the carrier single of this album is the Pinoy favorite love song "Tell Me." "Tell Me" is Side A's one of the hit tracks which dominated the hit chart on the 90's generation. But actually, it was the OPM icon Ms. Joey Albert who originally performed this song on the late 80's. The song was already used as soundtracks to different movies. In our generation today, Jovit made his cool and inspiring version of this song. His version of this song is already played in the different radio stations.